Ohio Postpones 8 Executions Amidst Legal Challenge To Lethal Injection Procedure : The Two-Way As a federal court considers the state's appeal of a decision last month blocking its three-drug lethal injection protocol, Gov. John Kasich announced he was putting executions on hold until May. Ohio Gov. John Kasich speaking on Feb. 1. 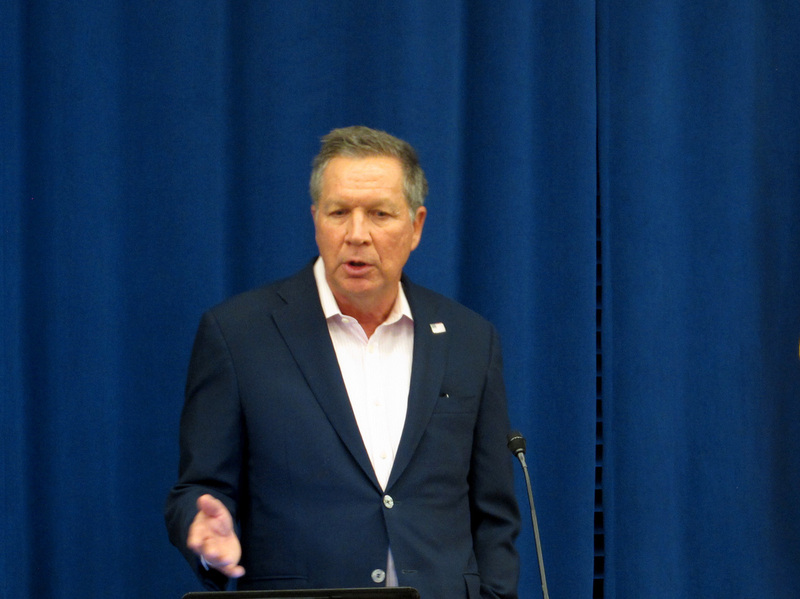 Kasich has postponed the state's next eight executions amidst a legal challenge to Ohio's lethal injection protocol. Executions have been on hold in Ohio since Jan. 16, 2014, when the state used a sedative called midazolam during the execution of Dennis McGuire. It took 24 minutes for McGuire to die and he "started struggling and gasping loudly for air, making snorting and choking sounds which lasted for at least 10 minutes," according to a witness. Merz also wrote that barbiturates offer a potentially preferable alternative to midazolam. Barbiturates such as pentobarbital were the lethal injection drugs of choice until pharmaceutical companies began blocking their sale for executions, as The Two-Way has reported. "In a court filing last week, state attorneys said they asked seven other states for the drug. The prisons agency also tried in vain to obtain the active ingredient in pentobarbital in hopes of having a compounded version made, the filing said. "The filing says Ohio asked Alabama, Arizona, Florida, Georgia, Missouri, Texas and Virginia for the drug." There are currently 140 people on death row in Ohio. The state of Ohio has appealed Merz's decision, arguing that the three-drug combination does not violate the Constitution and that the state should be allowed to go ahead with executions. The U.S. Court of Appeals for the 6th Circuit has scheduled its next hearing on the case for later this month.